The Technology Life… From anywhere! When Emily from ChargeTech reached out to me recently and asked me to blog about the new ChargeTech Plug she sent me a video that their CEO had recorded. 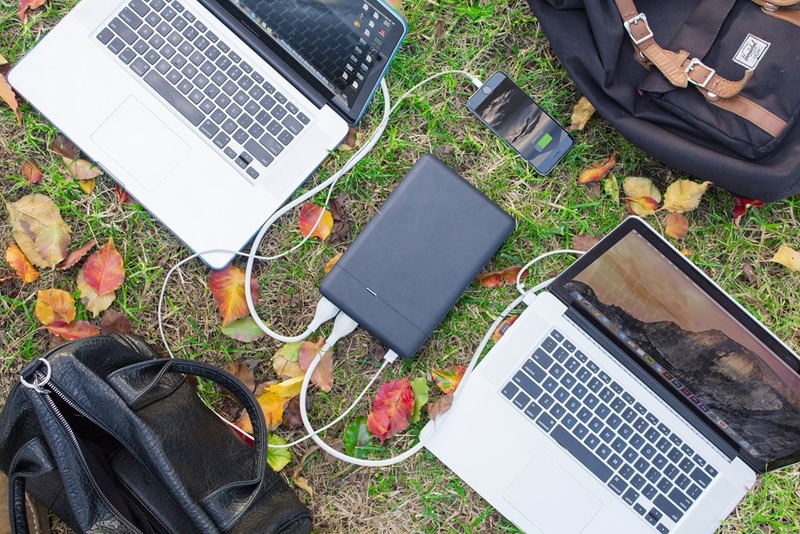 It talks about the ability to work from on the go and to power any device from anywhere, eliminating the need to sit on the floor at the airport to be near the power outlet. I watched the video, seeing people work from the beach and from other places I would love to work. It shows a picture of Emily camping, and people sitting on the beach watching a large screen TV. So yes, the video does demonstrate that the new device (ChargeTech Plug will retail for $199 for the base model), with 48,000 mAh, is their most powerful PPO (Portable Power Outlet) yet. I get it. It shows that it has two 3-prong outlets (the ChargeTech Portable Power Outlet that I discussed here only had one outlet, and boasted a still-impressive 27,000 mAh). It even shows someone (for reasons I cannot fathom) who brought their computer AND printer to the beach. It’s the sand in the printer part that scares me… and I still wonder who needs a printer that bad. However in my opinion, and what I wrote back to Emily, is that the video falls short of demonstrating the truly revolutionary feature of this project, the optional solar panels that will continuously recharge the Plug out in the bush, on the beach, and wherever you may be. How incredible is that? Did I mention that in some parts of Cuba the power can be a bit iffy? When I arrive at the hotel I would set it up near the beds, and Eduardo and I would plug both of our CPAP machines in for the night. In the morning I would set up the solar panels near the window so that the Plug could charge. In the afternoon I would sit by the pool and blog, call my girlfriend and my kids, and do whatever else I might need (or want) to do on the computer and phone. I would then go back to reading my eBook reader. Before dinner I would plug all of those devices that need to charge in to the ChargeTech Plug. I would also break down the solar panels because by now the sun would be setting… and the Plug should be fully charged anyways. Because I will be taking a lot of pictures while there I will remember to charge my camera battery as well… there is little more frustrating than wanting to take pictures with a dead camera battery. When it’s time for bed we would plug the CPAP machines back in… and start all over again. Now let’s face it… What I just described is exactly what will happen when I get to Cuba because, frankly, it is exactly what happened the last time Eduardo and I were in Cuba. 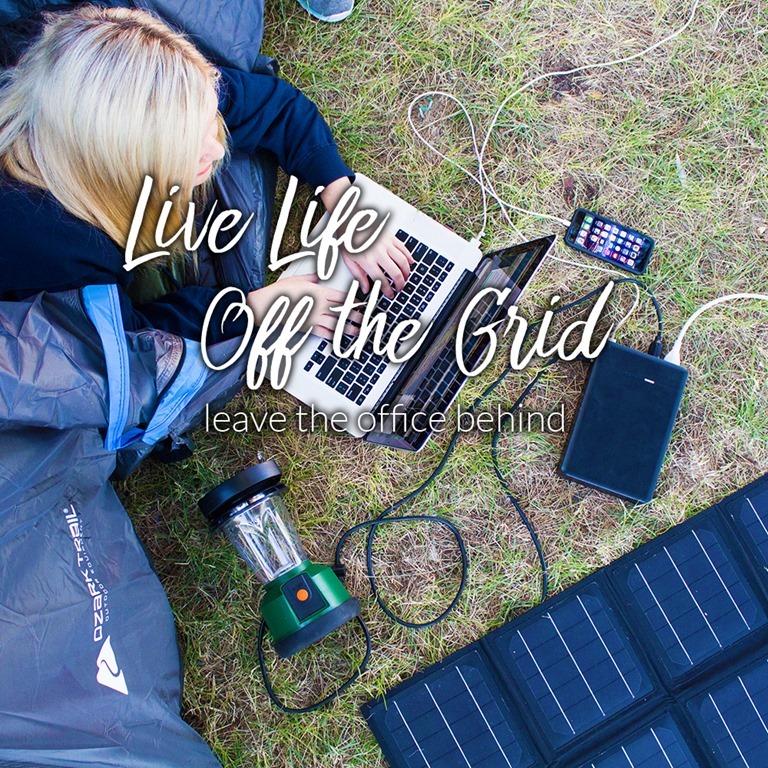 But how cool is it that we can do all of this… without ever plugging a device in to a local power outlet? I’ve spent a lot of time reading about the ChargeTech Plug, and I am impressed. With 250 Watts you can power just about any two devices short of your washing machine and dryer (remember that most airplane seat plugs will not charge a laptop if the charger is over 65W). Its 48,000 mAh capacity is incredible, but even moreso that unlike the original PPO you can do Pass-Through Charging… in other words, power your device even when charging it.